For a homebuilding or renovation project, software with a comprehensive database of layouts and bathroom products would be handy indeed. Most of the available bathroom design software available today offers adequate libraries of options for sinks, toilets, furniture, enclosures, bidets, and other accessories. Software that is based on CAD are the best available programs out there. No matter what bathroom style of theme you prefer, these ten options that follow will prove worth the time it takes to download, or the amount it costs to purchase, if it is not available for free. The 3D SPACER Bathroom Edition may be used to create interiors and is very easy to use. It is meant for commercial use, though homeowners would find the user-friendly interface adequate for their needs. It has two modes—2D and photo-realistic 3D and both can give an accurate and every details design. It also allows for resizing and customization and provides budgetary estimates. 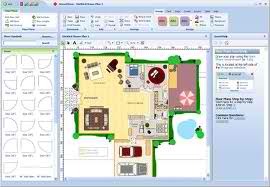 Smart Draw may be used for designing all sorts of plans and layouts. The architectural software may be implemented in creating full house plans, bathroom and kitchen plans, and office spaces. Among its many features a very comprehensive library of symbols for use in the design, automatic formatting, a customizable, easy start template. If you choose this program, you can even rely on 24/7 online technical support. Easy Planner 3D is true to its name. It is online software that may be used to design any layouts in color. In fact, it is so easy to use that there is no need to register and anyone can use it according to his or her needs. The interface has tools that allow for drawing layouts, placing furniture where you want it. It is also very fast. Every design can be saved and used again later. 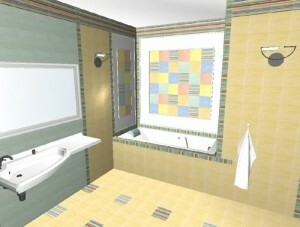 This software from Studio Compass called Tile 3D is designed for both amateur and professional designers. This tool may be used to layout tiles and see how they would fit a particular interior design. There is a huge library of ceramic tile designs and themes for the user, and this collection is updated every day. The tiles may be laid out on a layout of a bathroom or any other room in the house. This design is also capable of calculating the quantity of the tiles needed. VR Bathroom Design Software allows designers to directly show their customers how a bathroom design may be modified and altered to fit their specific needs. There is a drag and drop tool that allows for a quick change in design that the client can readily approve or disapprove. This program has the tools that could give a very accurate representation of the customer’s ideal bathroom without giving you any stress caused by a complicated program. This bathroom design software is from Arica and has the flexibility to accommodate the modern needs of homeowners you require more than a traditional bathroom. 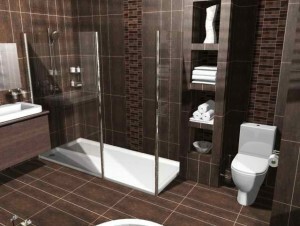 Some people who want to have beautiful and functional wet room, shower rooms or open plan rooms in their homes. This software gives the user the ability to make each bathroom in the house look different and have a different feel from the others. 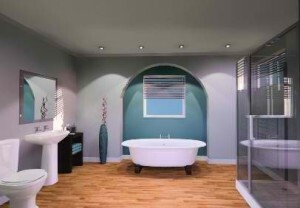 Bath CAD bathroom design renders full 3D representation in a few minutes’ time. If you buy this software, it comes with a year-long support plan and comprehensive training. 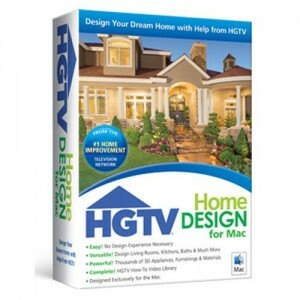 For both makeovers and remodeling jobs, HGTV bathroom design software is powerful enough to provide you with all the design tools that you would need. It also gives the user a 3D preview of what the design would look like in reality so that you would have an accurate view of the whole bathroom before you construct it. The materials and accessories are all provided. The ideas are also there if you run out of inspiration. Software that has thousands of items from catalogues that users can choose from is also compliant to industry standards. Designed for professionals, the innovations features in this product are also not too complicated for the use of amateurs. 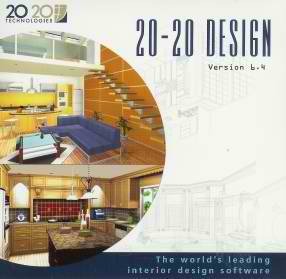 20-20 design is perfect for the use of professionals, with representations that are very realistic. The software has additional useful features. It allows for automatic billing of the choice of materials in the design. 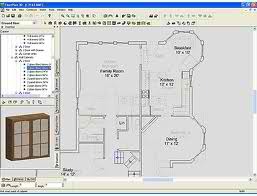 Virtual Bathroom Planner is software that you can use to design and print a layout for the new bathroom that you’ve been dreaming of having. You only need a macromedia flash player, and you won’t have to enroll in any architectural or design class before you can use this software and maximize its capabilities. It is very easy to use, and is a smart choice if you want a bathroom upgrade with only a few clicks of the mouse. Palette CAD is on top of our list because it is great for customization. There are also existing templates that may be used to start a new design with, making the whole project easy and very convenient. Should you change your mind (or your customer changes his or her choice of tile design or furniture), it only takes a few mouse clicks to change the layout. Palette CAD is the perfect choice for amateurs and professionals alike. been written about for years. Great stuff, just nice! Can Palette CAD be purchased in the US? It’s nice if you try to mix and match things and designs to come up with a better look. Hi there! Great list. I’d also like to recommend a program I’ve been using for years. It’s Blophome. It’s very easy to manage and it has a large amount of sanitaryware and tiles from brands like Laufen, Cosentino, Roca, Armani, Gala, etc.